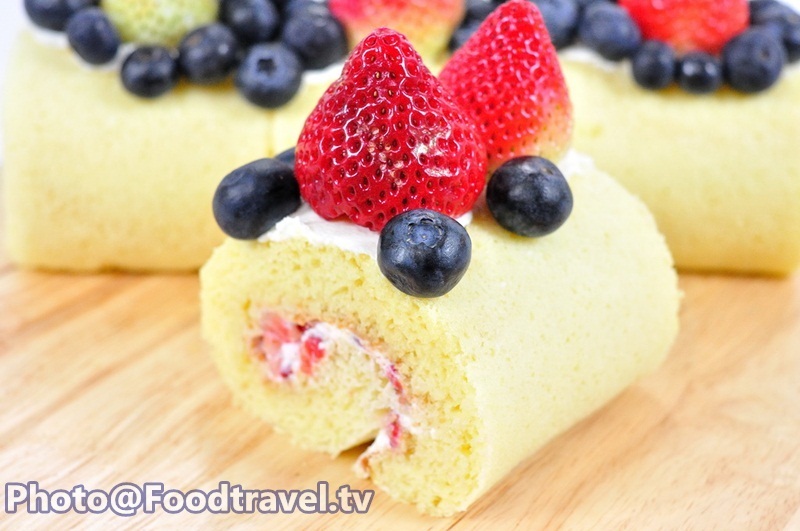 Berry Cake Roll - Berry Cake Roll is a soft vanilla cake with different berries. 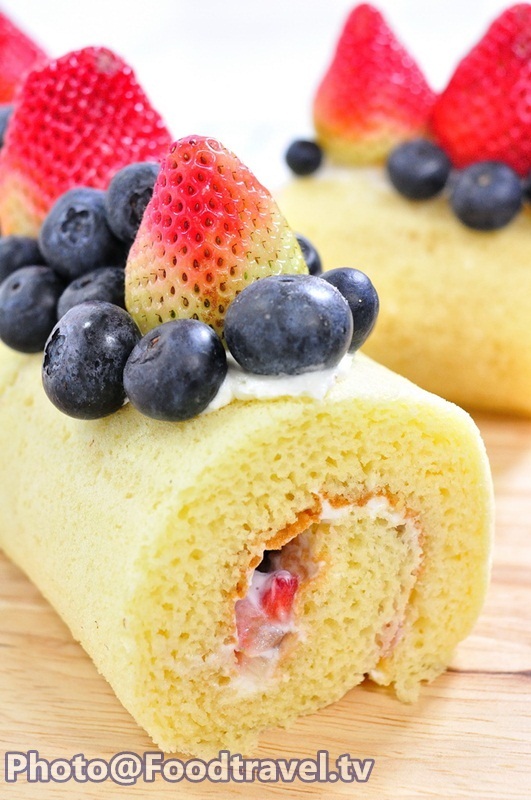 With creamy whipped cream. Beat until smooth and fluffy. 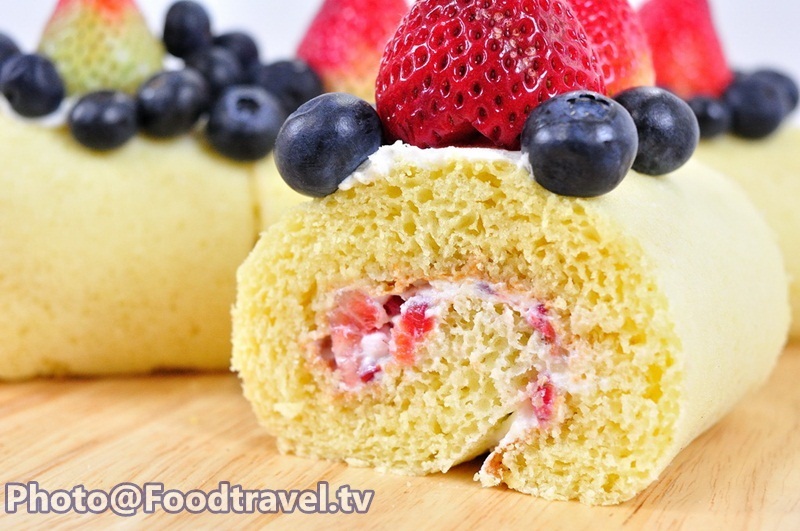 Enjoy delicious sour and sweet of fresh berries. 2. Sift cake flour, corn flour, baking powder. Set aside. 3. Mix vegetable oil and whipping cream. Set aside. 4. Beat egg, sugar, salt with high speed. Then turn to low speed and continue beating for 1 minute. 5. Mix dried ingredient into the egg by a whisk. 6. Mix oil, whipping cream, vanilla in a mixture. 7. Prepare a baking tray by placing pastry paper. Then pour the cake and wipe smoothly. Knock a tray 2-3 times. 8. Bake at 200 degrees for 10-15 minutes. 9. When cake cook, flip the cake. Peel the paper and roll the cake. Set aside to cool. 10. Turn cake upside down. 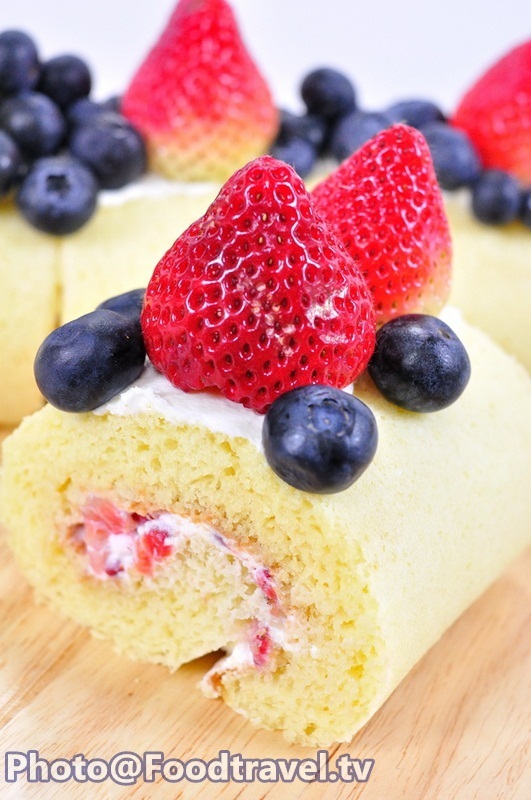 Peel off the baking paper and roll the cake with another baking paper. Set aside to cool. 11. Beat whipped cream and set aside. 12. Spread the cooled cake out. 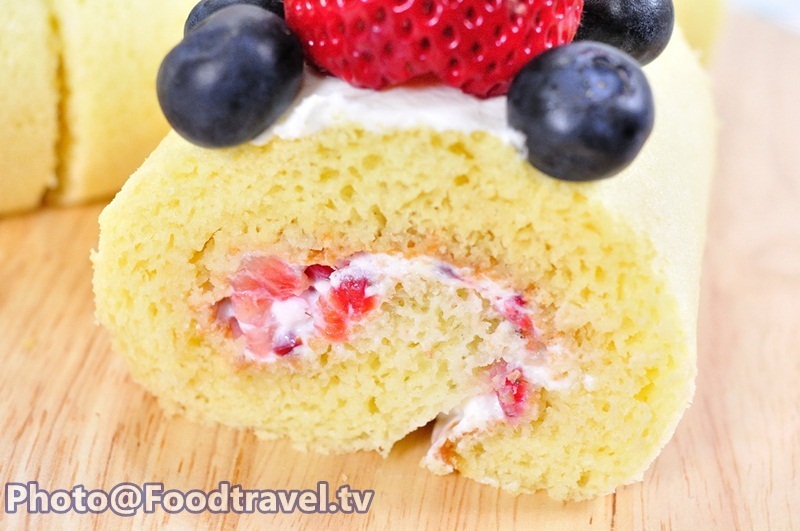 Add whipped cream, blueberry and strawberry (cut into small pieces) and roll the cake back into original shape. 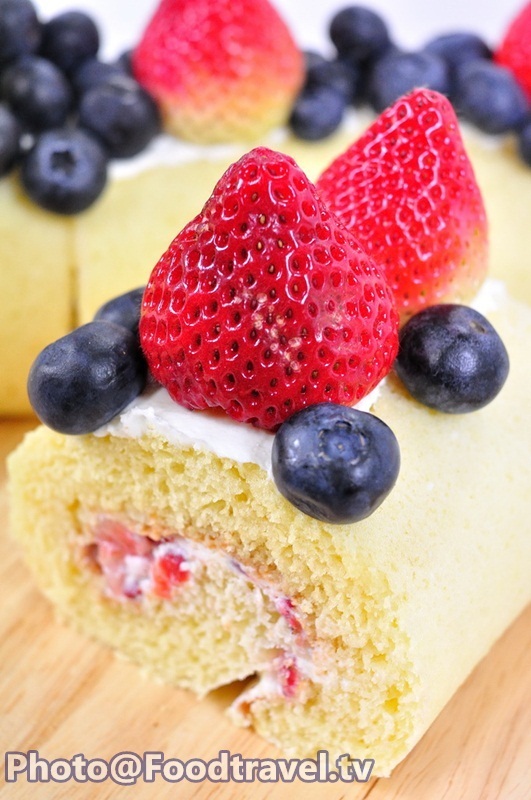 Place baking paper and set aside the cake in the refrigerator for about 30 minutes. 13. Remove paper and cut the cake into pieces as the size you want. 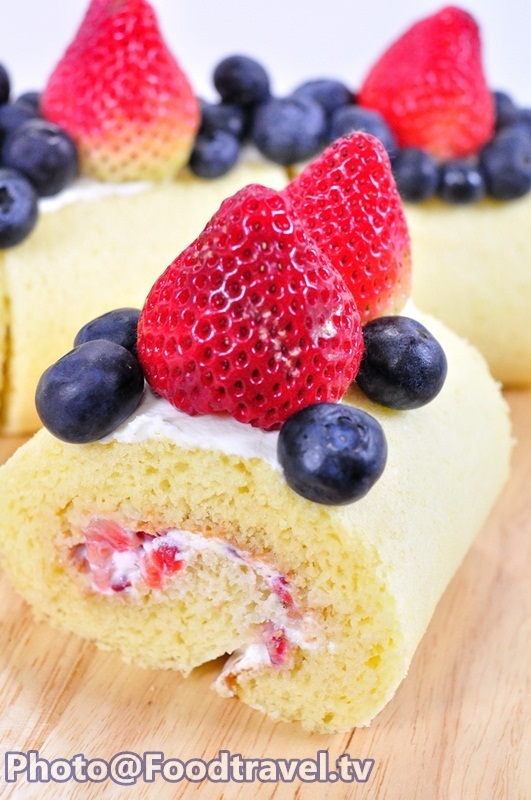 Decorate with blue berries and strawberries. 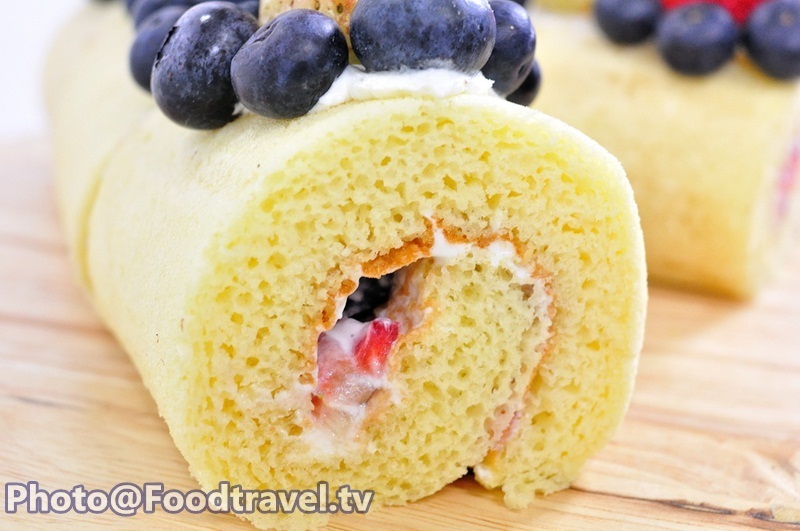 Berry Cake Roll -Berry Cake Roll is a soft vanilla cake with different berries. With creamy whipped cream. Beat until smooth and fluffy. 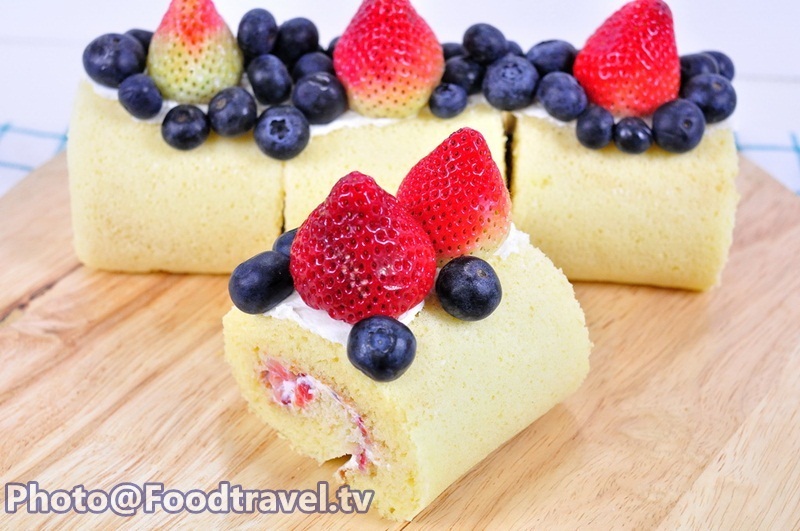 Enjoy delicious sour and sweet of fresh berries.